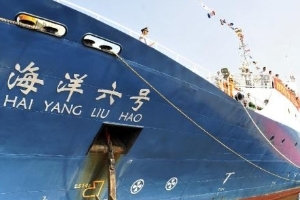 After a 138-day survey in the West Pacific, China's deep-sea exploration vessel has collected samples of cobalt-bearing crusts more than 30cm thick for the first time. 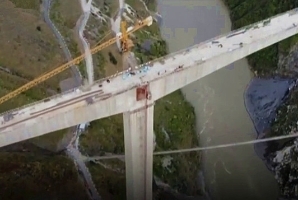 A massive cross-river bridge built at an altitude of 2,900 meters in southwest China's Sichuan Province was finally connected on Monday. 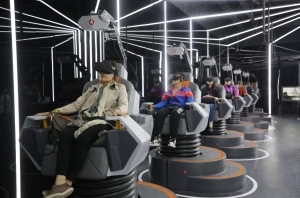 Business leaders and experts weighed in on the future of VR technologies during the World Conference on VR Industry held in eastern China's Jiangxi Province. 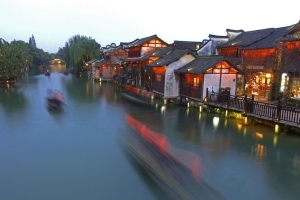 The fifth World Internet Conference (WIC) was held from November 7-9 in the river town of Wuzhen, Zhejiang Province. 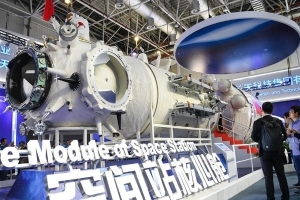 A full-size model of the core module of China's space station Tianhe made its debut at the 12th China International Aviation and Aerospace Exhibition (Airshow China), which opened in Zhuhai, south China's Guangdong Province, Nov. 6, 2018. 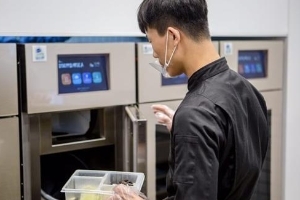 Cooking robots, which can purify cooking smoke throug their self-cleaning system, debut at a fast food restaurant in Beijing. 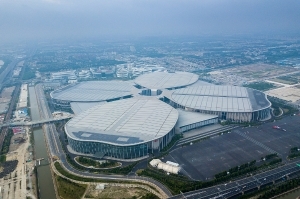 The China International Import Expo (CIIE) is currently underway in Shanghai. 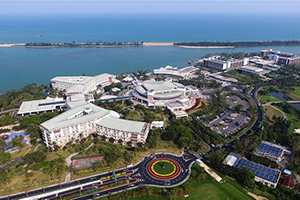 Its most distinctive feature is that it is the first State-level exhibition in the world promoting imports, with all the exhibitors and goods coming from overseas and domestic enterprises present as potential purchasers. 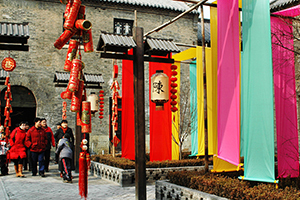 Explore the arts, crafts, and snacks in Zhoucun of Shandong province, and learn about some of China's culture and history in this charming ancient town. 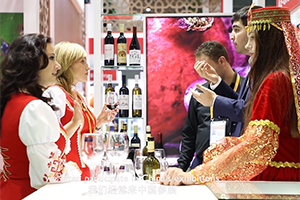 The first China International Import Expo (CIIE) is held from Nov. 5 to 10 in Shanghai. 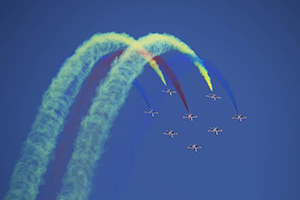 Stunning aerobatic display by China's Red Falcon aerobatic team. 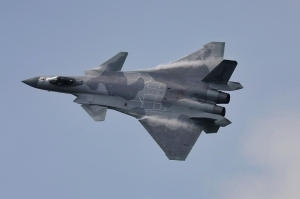 The team from the Aviation University of Air Force will debut at Airshow China in Zhuhai on Tuesday. 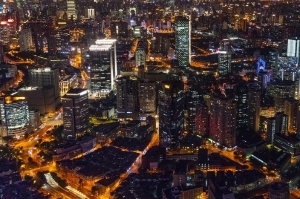 Shanghai, the city that blends old and new, east and west. And this multicultural metropolis is hosting a world first the China International Import Expo. 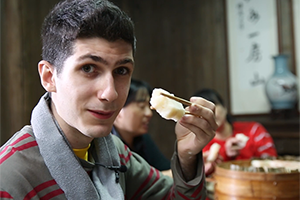 Samuel from Brazil discovers the secret recipe of Longyou Fagao as he travels to the home of the traditional Chinese rice cake in Zhejiang province. Follow his footsteps and learn how to make this delicious snack. 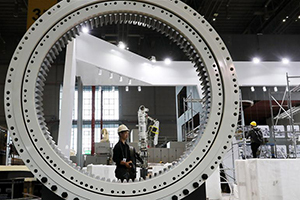 The first China International Import Expo (CIIE) is held from Nov. 5-10 in Shanghai. More than 3,000 companies from over 130 countries and regions have registered to join the expo. And over 150,000 buyers are expected to attend the event. Nateuy No. 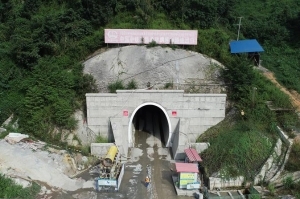 1 Tunnel, the first over-1000-meter tunnel along the China-Laos railway, has been drilled through in Luang Namtha province, Laos. 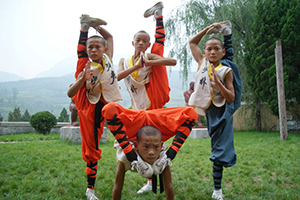 Tong Zi Gong, or "children's skills," is a form of Shaolin Kung Fu. It is a type of martial art which should be learned very early. 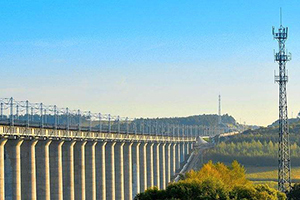 The 344-km Harbin-Jiamusi railway in Heilongjiang province is China's longest high-speed railway in its cold northeastern region. 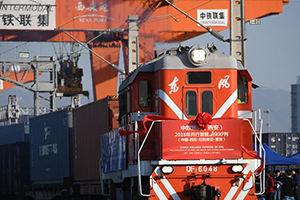 China launched a direct freight rail service between its northwestern city of Xi'an and Riga. 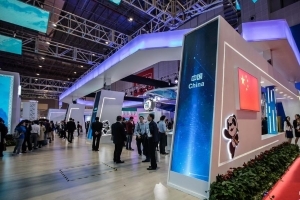 High-end intelligent equipment will be exhibited at the China International Import Expo (CIIE). Over 340 exterprises from 35 countries and regions will showcase their products. 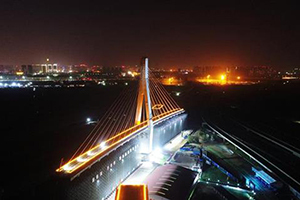 A 16,500-ton high-speed rail bridge section rotated into position in Zhengzhou, central China's Henan province. 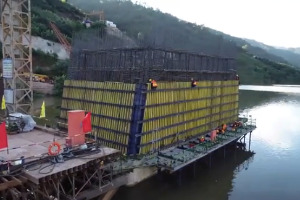 Workers made breakthrough in building the bridge's two largest piers, each two 150 m high. 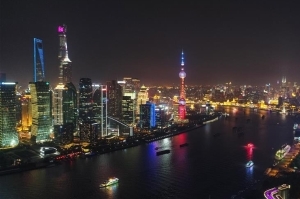 The first China International Import Expo will be held in Shanghai from Nov. 5 to 10. 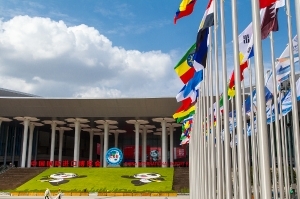 As the world's first national expo centered on imports, the event is a demonstration by China to fully open its market to the outside world, as well as a commitment to inclusive globalization for shared benefits. 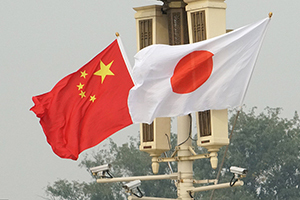 China's experience since the reform and opening up has set a good example for many countries. 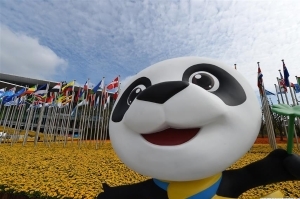 The China Int'l Import Expo will be held from Nov.5-10 in Shanghai. 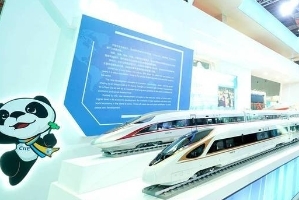 This is China's first ever import expo. More than 2,800 companies from around 130 countries and regions are set to take part. 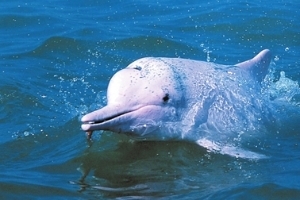 Rare Chinese white dolphins were spotted near the Hong Kong-Zhuhai-Macao Bridge on Tuesday by a patrol vessel of the Guangdong Maritime Safety Administration. 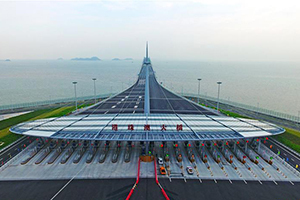 The 55-km-long Hong Kong-Zhuhai-Macao Bridge will be the world's longest sea bridge. 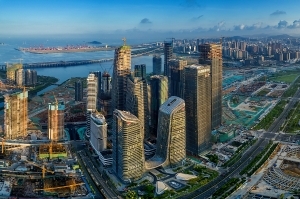 It will slash the travel time between Hong Kong and Zhuhai from 3 hours to 30 minutes, further integrating cities in the Pearl River Delta.